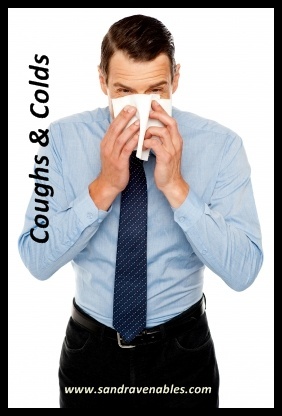 The cold reaches the second stage when the cough develops further and discharges are beginning to occur. When there is much mucous and phlegm, so all of it is coming out, this is when the cold has entered the third stage. Either of these stages can be accompanied by a dry, spasmodic or rattling cough. When coughs come in a series, or in spasms, it’s described as a spasmodic cough. It can be dry or wet in nature. The Drosera cough is a dry and barking cough, from a tickle, with prolonged periods of rapid, deep, barking, or even choking type of cough. It can take the breath away and may end in retching or vomiting, a nose bleed or a cold sweat. Often it’s worse at 2am. Incessant and violent cough, with wheezing and choking that may trigger vomiting. The vomiting of phlegm occurs, though it doesn’t ameliorate the coughing. The body can stiffen during the suffocative spasms of coughing, Ipecac. Sudden onset at night of coughing, after being asleep, wakes with a suffocative cough, must sit up to cough, will be frigthened, grasping at their throat. Shortly after the coughing spasms, sweating on the head, face and neck will break out. During the cough, the nails and lips will appear purple, Sambucus. Regular episodes of violent tickling, racking cough, ending in vomiting or raising up of much clear ropy type of mucous, with a purple red coloured face and internal heat feeling. Coughing episodes can be brought on by brushing the teeth, rinsing the mouth with water, or trying to raise the phlegm. Raising the mucous/phlegm, ameliorates the cough for 3 – 4 hours, before it begins again. Usually worse in the morning, on first waking or on first getting out of bed. Coughing does not stop until vomiting or raising of the mucous occurs, Coccus cacti. There are many more remedies for spasmodic coughs that vary in symptoms from these mentioned too. Cough hacking, rattling, with sneezing and painless watering of the eyes. The nose runs like water also, Allium cepa. Rattling cough, with a lot of thick, yellow or yellow/green mucous from the nose. Accompanied by a loss of appetite and no thirst, loss of taste and smell. Often there is much mucous and phlegm during the day, and dry at night. Pulsatilla. Antimonium tartaricum has much rattling mucous in the chest, however it is very difficult to cough it up. The chest seems full of mucous, yet it gets harder and harder to raise it. Mucous can be thick and yellow. The cough can come on if you are angry, or have been eating. Often worse after midnight, and better for sitting up or for being carried upright. Lots of yellowish mucous, with a thick, loose sounding cough, can be rattling and barking. Often comes on after being in the cold air, or the cold winds. Usually accompanied by a sore throat that feels as if there is a splinter or fish bone in there, Hepar sulphuris. A loose cough during the day, that is much better when lying down at night. A lot of watery discharge from the nose, and the eyes are red and sore from the burning tears, Euphrasia. As for the spasmodic coughs, there are many more options for a rattling cough, symptoms dependant. For the lingering or recurrent cough, do take the time to come for a consultation to consider an overall picture and discover the deeper acting remedy that is required to clear that cough and restore balance. The opinions expressed within this blog are those of the author and should not be taken to constitute medical advice or imply treatment of any disorder. For all health conditions you must visit an appropriately qualified healthcare professional.